When you’re setting up your Dallas apartment for the first time, one of the questions you need to ask yourself is which items you really need, and which you can skip. When it comes to stocking your kitchen, you will find that there is a myriad of countertop gadgets and small appliances to consider. 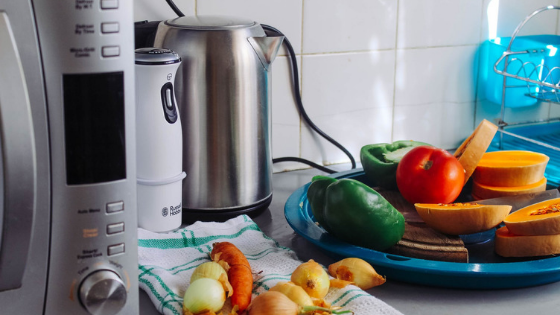 From the toaster to the quesadilla maker, here’s a closer look at what you really should get and what you can probably skip. The “must-have” list is going to vary depending on your lifestyle and your typical diet. Most people find that they use a toaster or toaster oven regularly, especially if they enjoy a hot breakfast. A crock-pot or pressure cooker is another great option to have on hand, but you may not need to have both. Consider which fits your cooking style best, and start with that one. If you are a coffee drinker, then a coffee making appliance is going to be critical, but consider looking for one that can do everything you want. For bakers, a stand mixer is important, but other chefs can get by with a smaller handheld model. Most people can benefit from a food processor or blender as well. But what about an air fryer, deep fryer, quesadilla maker, wine cooler, or some other gadget you may have seen? This is where you need to consider your cooking style and diet. It is also where you should consider how much storage space you have. If you feel you would use it on a regular basis, then go ahead and get it! If it would likely collect dust or does a job you can just as easily do on the stove top, then skip it. Some recommendations for items to skip include the sandwich maker, quesadilla maker, breakfast sandwich maker, egg cooker, and similar specialty items that probably will not get enough use. Others, like a popcorn maker or waffle maker, are not necessary if you don’t eat that item often. If this list has you dreaming of the gourmet meals you’ll be cooking up, schedule a tour of Mockingbird Flats to see the beautiful kitchens available in our Dallas apartments.